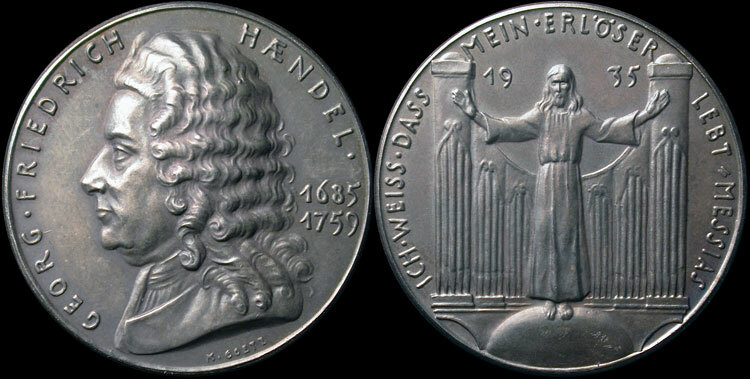 Obverse: Bust, left, surrounded with name and date. Reverse: "I know that my savior lives." From the great oratory "The Messiah."